Ya’an Quake Animal Rescue and Relief – A Job Well Done Everyone! Please sign this petition to help to Shut Down the Inhumane Yulin Dog Meat Festival! Please sign this petition to help to Stop Horrific Dog Meat Trade! Demand China Make Animal Cruelty Laws! 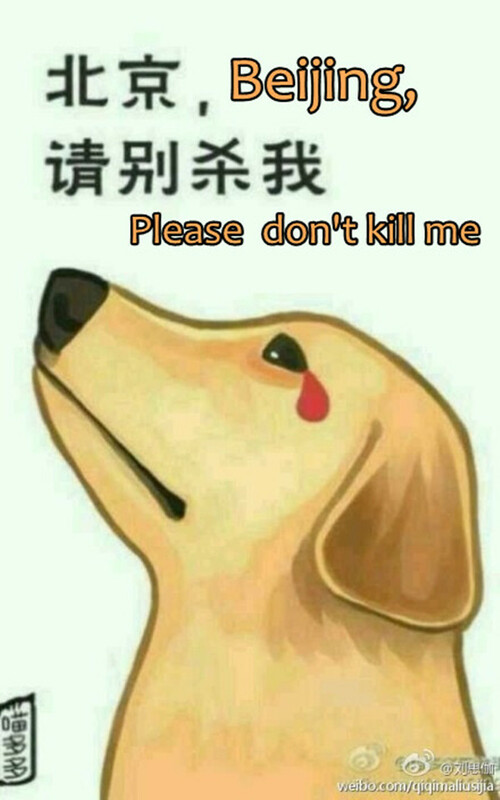 Please Sign to Stop the Unjust and Inhumane Crackdown on Large Dogs in Beijing! Enter your email address to follow WGAPC and receive notifications of new posts by email.